Looking for Skip Hire in Dagenham? Whether you’re having a good clear-out at home or planning some building work in Dagenham, one of the most common headaches is what you’ll do with all that waste. After all, the bin-men are hardly going to take away your old kitchen. Naturally the logical solution is hiring a skip. However if you’ve never hired a skip in Dagenham the question is where do you start? The answer is with Away With It. 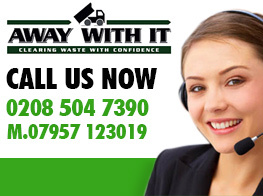 Away With It have been offering skip hire and waste removal services in Dagenham for almost fifteen years. In that time we’ve built up an enviable reputation for the reliability and cost-effectiveness of our service. 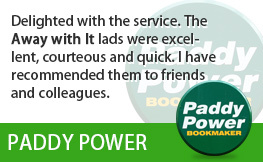 But don’t just take our word for it; take a look at our homepage to see some of the reviews left by happy former customers! 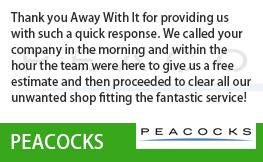 What helps Away With It to stand out from other suppliers is the focus we put on making your life as easy as possible; our watchwords are customer service and timeliness. 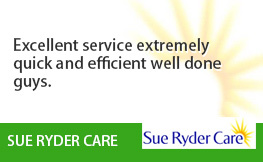 You’ll find that unlike some other firms we pride ourselves on offering you a personal service and we’re not happy unless you are. Based just down the road from Dagenham, we’re also a local firm which allows us to respond swiftly to any queries you may have. 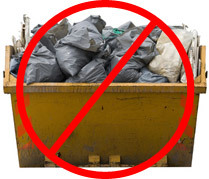 For example we are often able to drop off skips to Dagenham the same day if required. What’s more, we go the extra mile to fit around your needs; there’s no waiting around as we agree delivery and collection times in advance and are well-known for our reliability once a time is agreed. While most people think initially of hiring a skip there is actually another service we offer, which can work out far more cost-effective for you. Instead of the expense and trouble of hiring a skip our two-man waste removal team can come to clear any waste you’re looking to get rid of. 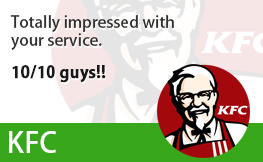 There are a number of benefits to such a service. Firstly, there is almost no limit on the volume of waste we can remove; whether you just have a few pieces of furniture or the equivalent of half a dozen skips our team can load up our trucks as many times as necessary. Additionally, as we only charge for the final volume of waste removed you’ll often find such a service works out cheaper. Lastly, and arguably most importantly, having our team remove your waste by hand saves you the trouble of dragging it out to the skip, and then waiting for the skip to be collected. 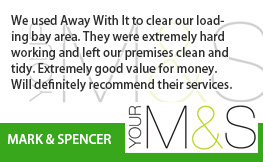 With one phone call we can turn up, remove your waste on the spot and leave your residential or commercial property in tip-top condition. Deciding on the best solution for your needs can be a complex business. 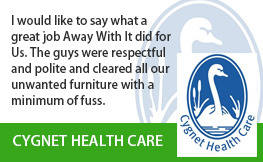 Fortunately we’re able to advise on all aspects of waste removal. We offer same-day quotes, so will come out to your property and assess the situation without obligation. We’ll then provide you with a quote for both services so that you can decide yourself how best you’d like to proceed. Your needs are our first, last and only concern. Do you require same-day pickup? Perhaps you are looking for multiple trips for a large amount of rubbish? To discuss your options for skip hire in Dagenham and get a competitive quote please contact us at 0208 504 7390 or 07957 123 019 for further details.